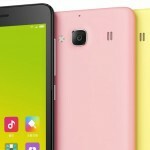 It looks like Xiaomi is on a launching spree with three smartphones already launched and yet to reach the markets globally and a few days earlier launching MiTV in China. New reports have merged that provide quite an assurance that this smartphone launching spree is not over yet. Another Xiaomi smartphone dubbed as “Ferrari” has surfaced on a benchmarking site. It is worth noting that some days ago another budget smartphone was leaked online on China’s Weibo. Xiaomi Ferrari as it known for the time being comes with some very nice features. 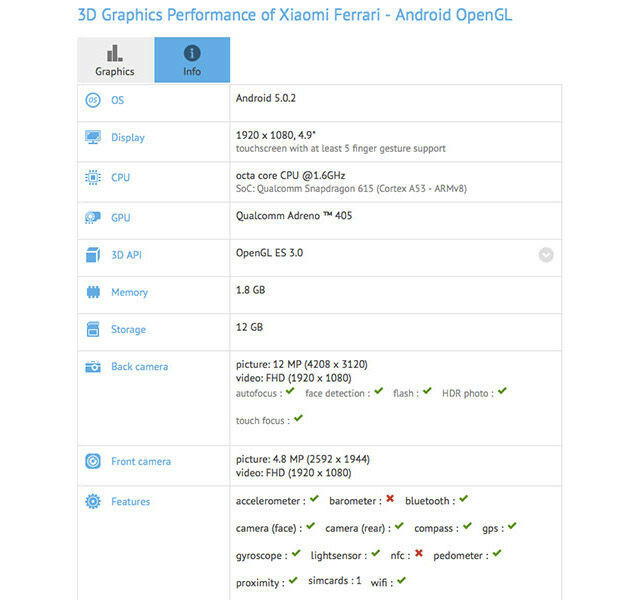 Image of a new Xiaomi smartphone “Ferrari” benchmarks test has been leaked online on bench-marking website GFXbench. 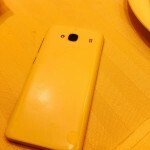 As it can be clearly seen that Xiaomi has been testing a smartphone and the spec-sheet above is an evidence of that. Based on the GFXbench results the upcoming smartphone will be in the budget segment and features a 4.9 inch full HD display. The purported smartphones comes with a 64 bit Snapdragon 615 Octa-core processor clocking 1.6 GHz along with 2 GB of ram and Adreno 405 GPU. It will run Android Lollipop 5.0.2 out of the box and as we have seen with every Xiaomi smartphone, it will run on latest version of MIUI. 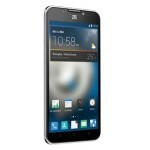 The soon to be expected smartphone is boasting a 13 MP rear camera and a 5 MP front camera. Only time will tell when Xiaomi will unveils this smartphone. Till then rumor mills will keep running hot.